Looking for a way to market your product offers to customers? Have you ever considered using a catalog to showcase some of your most famous items and new product lines for customers to choose from? These days, not everyone has the time (nor the energy) to pay a visit to their local shopping center to see if they have anything in store for them to use. If anything, browsing through a booklet-like material in the form of a catalog is one of the most efficient ways to get through your shopping list without the hassle. You may also see business catalog. Catalog marketing is a sales technique that businesses use to group certain items together in a printed material or online store for shoppers to navigate through. It’s a clever tactic that allows businesses to make a pitch with customers through a persuasive product description and an enticing product image. And if a customer finds something that they might need, they can buy directly from the catalog sender by phone, return envelope, or online using the information indicated in the material. You may also see fashion catalog. There are also instances where catalog marketers act as intermediaries between customers and manufacturers (suppliers), where they simply use the catalog to resell items from different manufacturers and generate a percentage from each sale. But if your business carries more than a few items in your store, it’s probably best to create your own product catalog for branding purposes as well. Although catalogs can come in different shapes and sizes, they generally serve the same purpose. 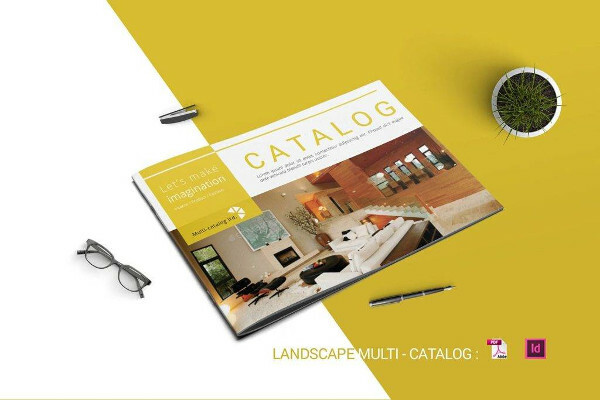 But if you plan on using a catalog to feature your product and/or service offers, it’s best to get acquainted with the different types of catalogs for you to determine which material would best suit your purpose. You may also see travel catalog. Before their digital counterparts were introduced in the market, print catalogs were widely used for several years. A print catalog usually has a cover that announces what type of items are found in the piece, followed by the actual items available. They could either feature a single product category, such as kitchenware, or a diverse collection of items, such as clothes, shoes, and bags. You may also see cookbook catalog designs. 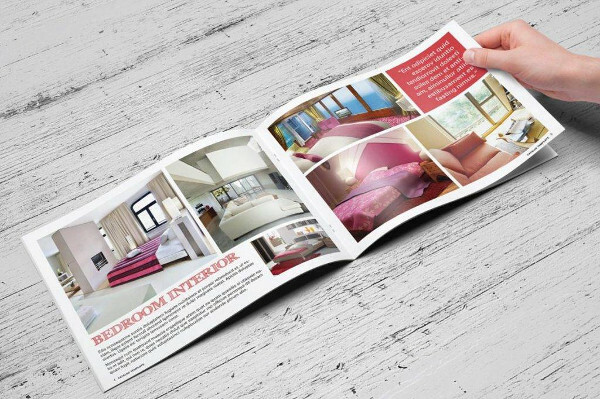 A print catalog typically comes in the form of a booklet, where it contains item photos and descriptions for shoppers to refer to. Some catalogs even come with order forms and return envelopes with prepaid postage so that customers could easily fill in the forms with the necessary information and have their orders delivered to their doorstep. Other catalog marketers require shoppers to place in their orders through phone for a more direct transaction. You may also see interior design catalog examples. When it comes to reaching out to potential buyers, however, marketers are known for using a targeted mailing list to help boost sales and reduce costs in printing and mailing, which is also associated with waste circulation. After all, you wouldn’t want to waste a good amount of resources on a catalog that has little to no chance of reaching its intended market. There’s also a possibility for these business catalogs to reach the hands of prospects when items are shipped to them after an order was placed. Now that technology has taken over the world of advertising and business significantly, catalog marketers have decided to take a more advanced approach with their pieces by making a digital version of the traditional print catalog. Online catalogs are beneficial in a number of ways. For one, it’s a great alternative for conventional catalogs that involve printing and mailing costs. Retailers could easily update products, prices, and promotions without having to worry about redoing the production process all over again. Online catalogs can also be a lot more flexible, allowing you to categorize items according to a specific fashion or type similar to that of a print catalog, while giving customers the chance to sort through items by price, category, manufacturer, or any related criteria as well. You may also see wholesale catalog examples. A quick and easy transaction is sure to give customers a reason to come back! Some retail companies, such as Forever 21, H&M, and IKEA, produce their own sales catalogs for customers to use. It can contain anything from apparel to footwear, sporting goods to kitchen accessories, auto parts to home furnishings, and garden products to health and beauty items. Manufacturers typically group these items according to a specific category of function or season, to allow customers with a particular interest to quickly find what they want from each section. It’s also possible for a manufacturer to spread these items across the catalog in a seemingly random yet strategic manner to influence impulse buys. In cases like this, manufacturers are responsible for processing each order, shipping the items, and handling customer service, completely eliminating the cost of wholesalers and distributors. You may also see construction company catalog examples. You might have noticed how some catalogs are designed to feature products from a variety of manufacturers as opposed to a single one. These type of catalogs are called multiple company catalogs, which are usually created by a third-party marketer. Here, you’re likely to encounter several competing products on the same page. The producer of the catalog acts as a middle man in the transaction, wherein orders and payments are taken directly from the customer, and a certain portion of the sale is given to the manufacturer. You may also see restaurant catalog examples. Some multi-company catalog producers fulfill orders from their own warehouse, while other orders are sent directly to the manufacturer, who will then be accountable for shipping the item, handling returns, and providing customer service. You may also check out here advertising catalog examples. Before the web, print catalogs were a popular form of product advertising. Many businesses relied on direct mail catalogs as a primary selling tool to increase sales and profits. Though computers have now become a central means of business-related operations, catalogs haven’t totally disappeared from our sight. In fact, advertising catalogs have only evolved into something better, which come in the form of web or online catalogs. You may also check out here photography portfolio catalog designs. But even with the popularity of digital catalogs in the marketplace, why do businesses continue to produce direct mail catalogs to promote their products and/or services to other businesses? Mailing catalogs to a targeted audience is a profitable strategy for a business to use. This way, you could easily identify the exact prospects you want to reach according to their title, industry, geography, annual revenue, company size, and other criteria. You can entice these prospects even more by offering an introductory price that’s hard to pass. You may also see fashion catalog examples. The physical presence of an actual catalog demands more attention than that of an easily deleted email or pay-per-click ad. That’s because the visual aspect of the catalog design has the ability to draw in audience without much effort. The key is to make it inviting enough to prompt a reaction from prospects. The great thing about print catalogs is that they allow you to showcase and promote companion products and accessories side by side. For instance, while selling an action camera, you can also make an attempt to sell camera accessories along with the main item. This way, customers can imagine themselves using the item along with its accessories, enabling a quick and easy sale. You may also see toy catalog examples. Seeing product details alongside each other is certainly more convenient than having to print out website pages to make product comparisons. You could easily display the necessary information in a certain portion of your layout instead of forcing prospects to scroll back and forth through your website to finalize their decision. You may also see minimal brochures. Sometimes, it can get really frustrating to search for certain items on the internet, especially if you don’t know the exact search terms or product categories to input. This is why it’s necessary for catalog marketers to group their items according to a specific group, color code, or page to make it easier for prospects to find what they need. You may also see real estate catalog examples. Contrary to what many believe, print catalog production can actually be affordable when done right. The secret is to work with your printer to discover a more economical format (which requires less ink and paper usage), presort data to maximize postal discounts, and target your mailing list carefully. This way, you catalogs can reach the right hands at the right time. You may also see T-shirt catalog examples. How many times have you walked in a store or office and noticed a catalog sitting on top of a counter or coffee table? Many business buyers and customers like to keep catalogs as desktop references and other similar purposes. When doing so, it increases the visibility of your brand and keeps your company on top of a person’s mind whenever they need to make a buying decision. Consumers often perceive catalogs as a trusted source of information as they’re usually created by a direct manufacturer, or an authorized distributor. This is one of the reasons why consumers like to keep them around for future reference much longer than they would with any other form of print media. You may also see home product catalog designs. One of the secrets to a successful multi-channel strategy is to create a digital link between your offline and online marketing platforms. 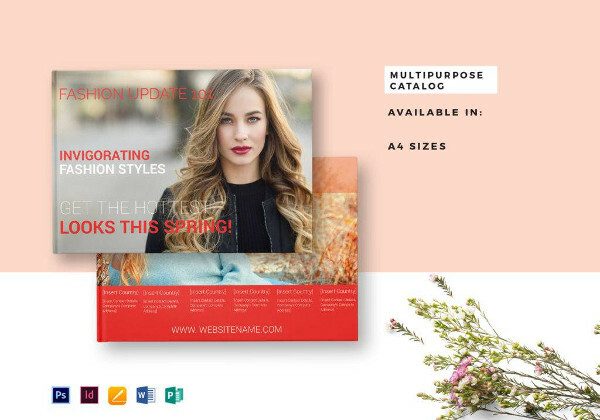 Catalogs can be a perfect way to garner attention and communicate with customers offline, and they can also work to drive traffic to your website and social pages, and assist in your online campaigns for better exposure. 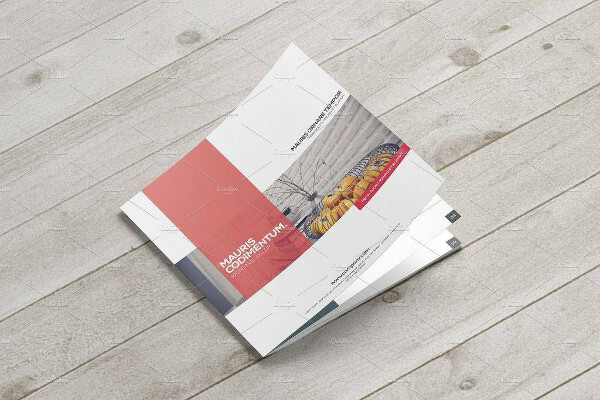 While it may be true that producing a catalog can cost you, we also have to take note that catalog marketing has the highest ROI among any print marketing product. Studies suggest that customer conversions have also increased thanks to this form of advertising. You may also see clothing catalog designs. The best way to promote a product is to make it look appealing in the eyes of a consumer. 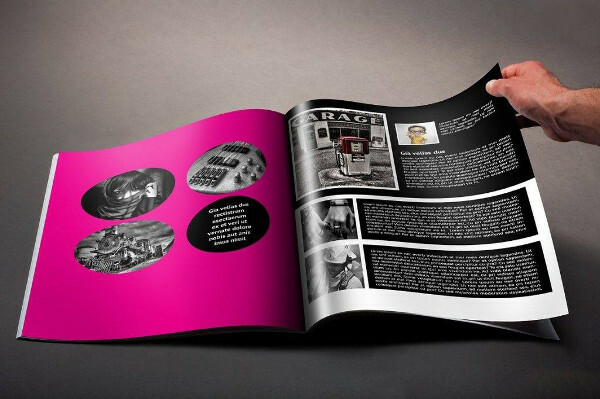 With a catalog, a company can showcase the aesthetic value of their goods with the help of high-quality, glossy prints. Detailed descriptions can make your products seem more desirable as well. This will transform your brand image and product offers into an aesthetic objects that prospects will seek for, whether they actually need the product or not. Sometimes, when certain products are featured alongside other products that are closely associated with them (accessories), customers see the link between them and feel inclined to purchase more than they originally intended. Catalogs have the power to do this, which is why building a strategically structured catalog design is extremely important. 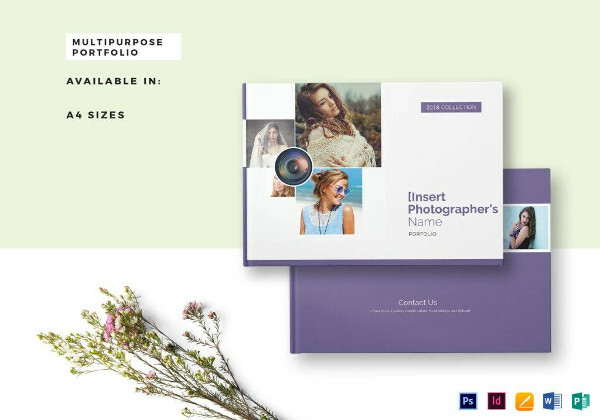 As one of the most powerful marketing vehicles in product and service advertising, it’s important for marketers to see the value in creating a catalog design that speaks to its audience. It’s about a creating and conveying a message that prospects would recognize and understand for the sake of the company’s growth. 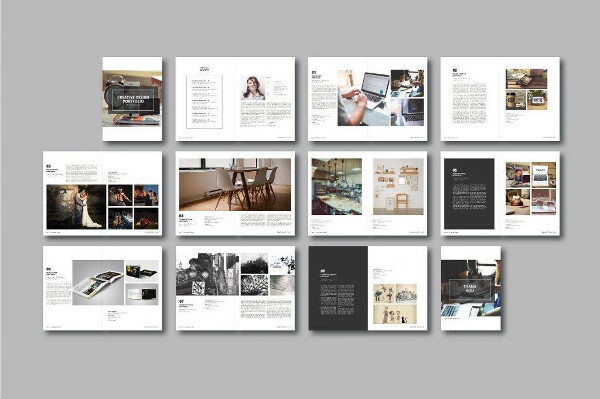 You may also see multipurpose portfolio catalog examples. An eye-catching design can do more than just capture a customer’s attention, as it can also prompt a response that can turn into a potential sale. The visual appearance of your catalog design can greatly influence the way people perceive it. In most cases, it’s about building a level of connection that consumers can relate to by applying the proper color selection, graphics, and product placement. 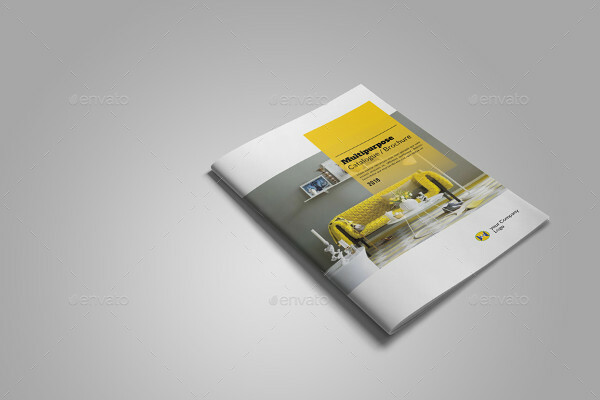 You may also see furniture brochure designs. 2. Design for your audience. Try viewing your catalog from a customer’s standpoint. What do you want to see in terms of textual and visual content? You have to tailor your catalog according to what your target audience expects to see. If you think about it, designing a catalog for a group of teenagers is drastically different from that for the older folks. But if you’re designing for multiple audiences, you might as well play it safe with a universal type of design that would cater to all markets. It’s best to study your audience before you jump in with your catalog production. Research on the latest trends in the market, conduct a survey to learn about consumer preferences, and take a good look at what your leading competitors are doing to generate success. You may also see advertising brochure examples. 3. Choose the proper size and format. You may not know this, but one of the most clever ways to promote your goods is to create an illusion. This is usually done with the strategic use of space. 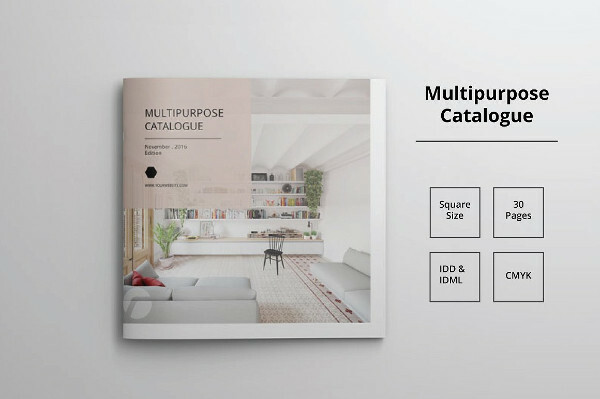 You may also see multipurpose catalog examples. When it comes to designing a catalog, you have to give your products the space they need. The way your catalog is formatted can play a role in the way a particular product sells. For instance, you can put a new product on the front page of your catalog surrounded by a few graphical elements to highlight its features. This way, you can draw enough attention toward the product, giving customers something to analyze. 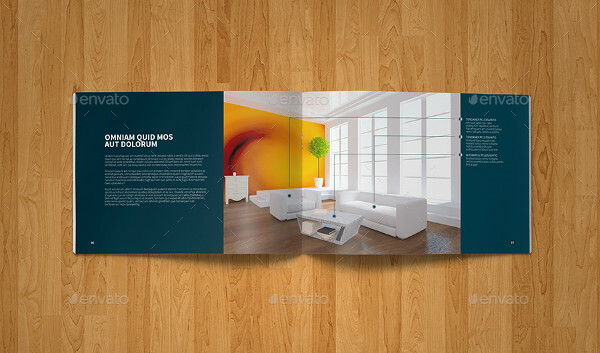 Images are considered to be the centerpiece of your catalog layout. Great quality photos will make your products seem more appealing than usual, which is a good tactic to increase sales. This is usually achieved by making sure your images are taken with good lighting and positioning. Find the right angle, one that would make your products seem like a picture-perfect masterpiece. It might seem like a bad trick to play on customers, but it’s definitely a strategy you wouldn’t want to ignore. You may also see IT service catalog design. So there you have it! With the help of these guidelines and examples, you can create an effective catalog design for your business!